Simply Wrapps allows you to either build your own wraps at or choose from the Chef Creations. Either way, you’re guaranteed to have an awesome time wrapping your mouth (heh pun intended) around the wrap! 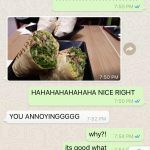 I dropped by Simply Wrapps at Orchard ION for this round. While most Simply Wrapps have tables and chairs for you to dine in, Simply Wrapps Orchard ION was more of a “Pick up and go” concept. 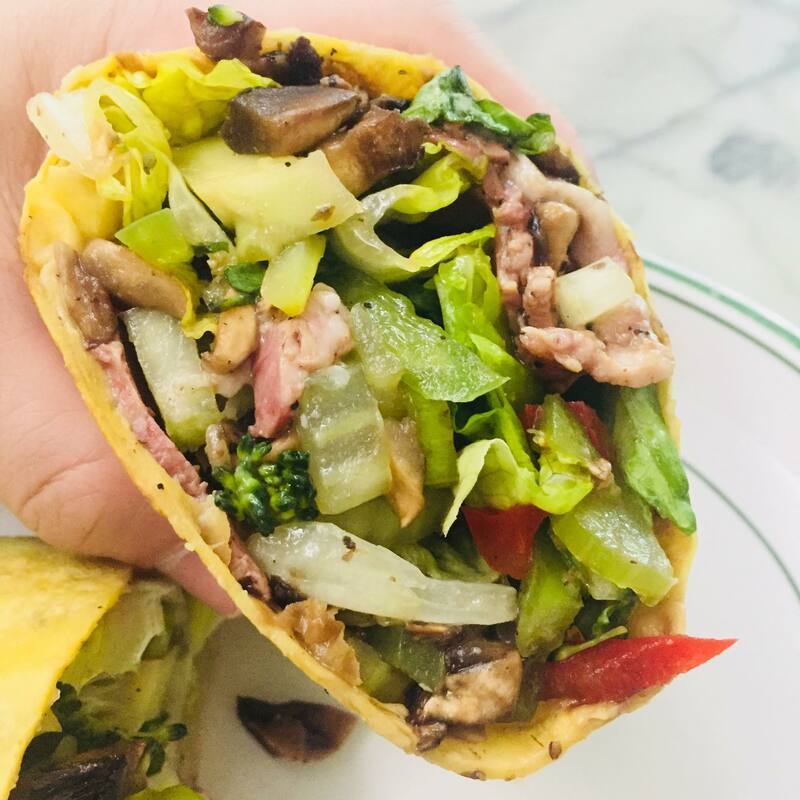 After looking through their menu, I decided to go with their Chef Creation, “Great Wall” which is basically made of Romaine Lettuce, Roast Beef, Broccoli, Celery, Capsicum, Mushroom and Hoisin Vinaigrette Dressing. Don’t think I need to explain my choice any further. 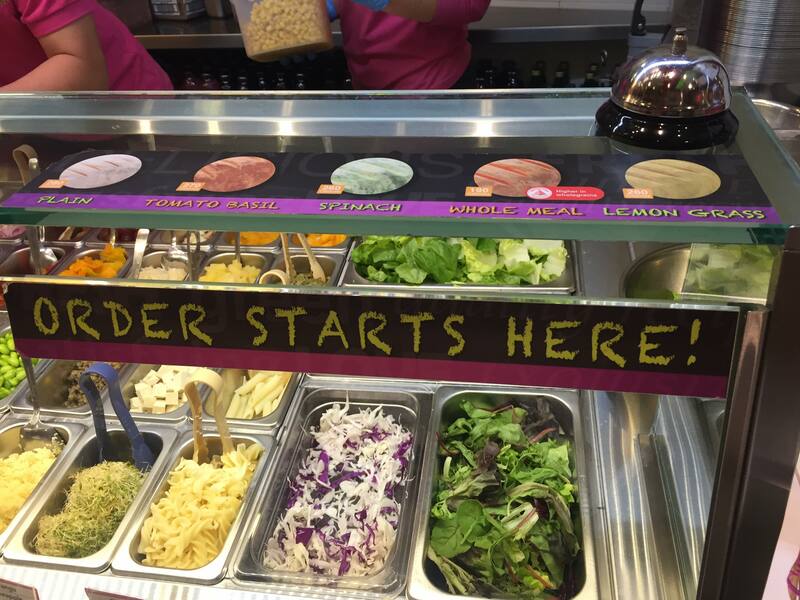 If you’ve chosen to grab a wrap instead of a salad, you can choose between 5 different types of wraps (Plain, Tomato Basil, Spinach, Whole Meal, Lemon Grass). I went ahead of Lemon grass because why not right? 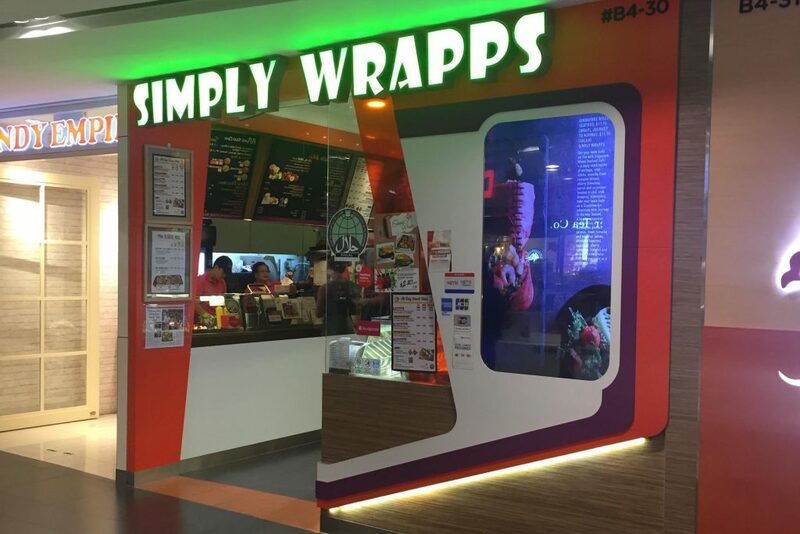 While they were preparing my wraps, I decided to take a look around the shop and can I just say that Simply Wrapps really have A LOT of ingredients for people who’re interested to build their own wraps. No seriously, A LOT. 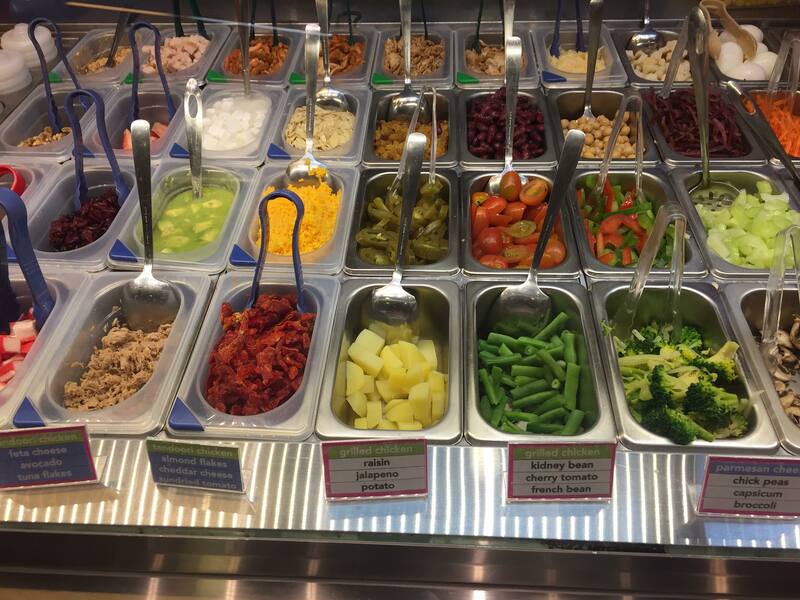 Simply Wrapps have more ingredients than just these pictures, so you can take a moment to just imagine how many different types of wraps you can build. That said, some of us are too lazy to even think about it right? Besides, Roast Beef guys. 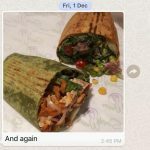 If you’re getting a takeaway option, you can expect to see your wrap nicely wrapped up this way, which allows you to eat from the top down. I brought my wrap home to savor my wrap’s taste in peace. But before that, let’s take a moment to appreciate how the wrap looks. I mean. Just look at how pretty the wrap is. The taste of the wrap was awesome. I liked the combination of the vegetables because it gives off a very crunchy feel, and the meat was not overpowering either. You can taste the dressing in every bite and the portion is big enough for you to go “SO GOOD. SO GOOD. SO GOOD” without trying to ration the food. Best of all? LOW CALORIE. 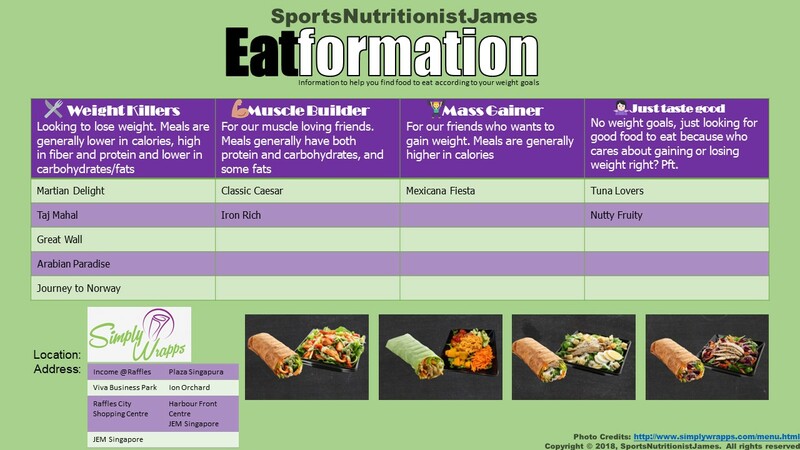 As usual, Eatformation is out for For those looking to lose weight, I would say that Simply Wrapps is an awesome option. 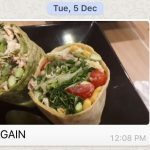 However, muscle builders will want to consider adding on a meat option, and mass gainers will probably want to build their own wrap while adding more carbohydrates into their wraps. 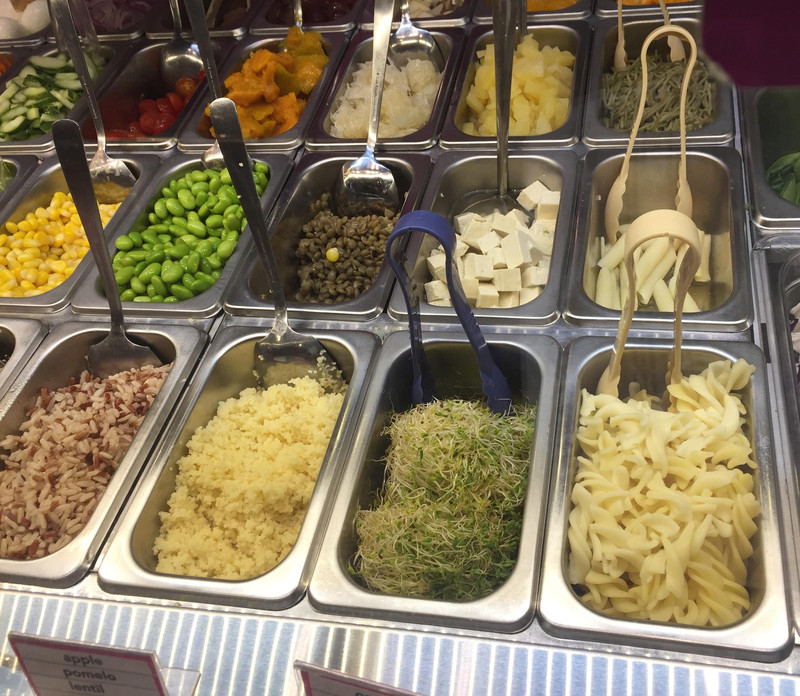 Estimated Macros: High vegetables, low carbohydrate, low-moderate protein.